With this winter serving us colder temperatures than expected, being indoors is but the best option – even for social gatherings. And, what better excuse to stay in with some friends than to watch a World Cup game? If your home isn’t already decorated in the spirit of the World Cup, you may want to bring out the flags and balls because we’re getting you ready to host a match session. Pick a game. 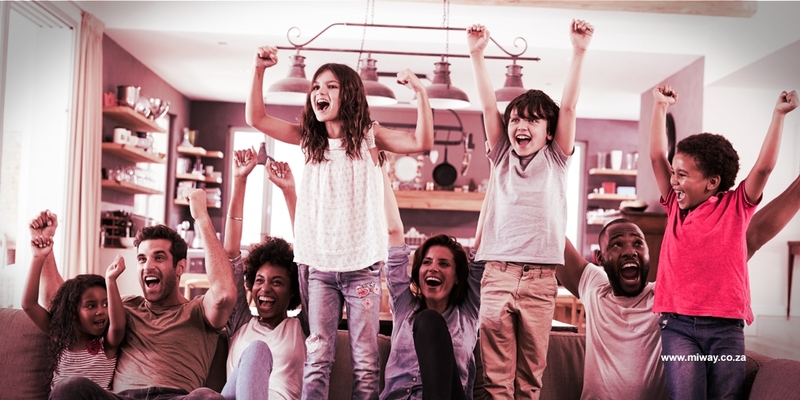 Whether it’s a semi-final match, the third place play-off or the final, pick the match you want to enjoy with friends and start your planning. Invite your guests. Once you’ve selected your fixture, you can get the invites going. Pull together a list of the guests you want to have over and create a WhatsApp group. The more guests, the merrier - but remember to inform your neighbours beforehand… soccer games can get emotional! Bring out the ‘big screen’. It’s a no-brainer that this is actually the most important part of your World Cup viewing – your TV. Make sure that your TV is set up and ready in the room where you and your buddies will be gathered for the match. Depending on the number of guests you’ve invited, you may want to consider getting a projector and screen setup for the ultimate viewing experience. Don’t forget the food! What’s a get together without food?! You can make this exciting by theming your snacks based on the teams you’ll be watching or the host country – Russia. If your guests are up to it, they can bring along some snacks of their own to add to the festivities, this way it won’t all fall on you. Get dressed up. You may not have thought about getting dressed up for a soccer game, but this is the World Cup. Get yourself and your guests in the spirit by wearing your soccer jerseys when they come over, even if their favourite team is out of the tournament. You can even add wigs, face paint and other cool things to the mix to add to the party atmosphere. Have fun! Having fun is non-negotiable. Make things memorable for you guests (and yourself) the best way you know how and enjoy the game. Having a group of people can sometimes be overwhelming with the fear of something breaking or going missing. If you have valuables you don’t want to leave exposed to the festivities, be sure to pack them away safely. For the accidents we can’t avoid, there’s home and contents insurance. Get an obligation free quote online and ensure that your valuables are covered while you enjoy hosting.